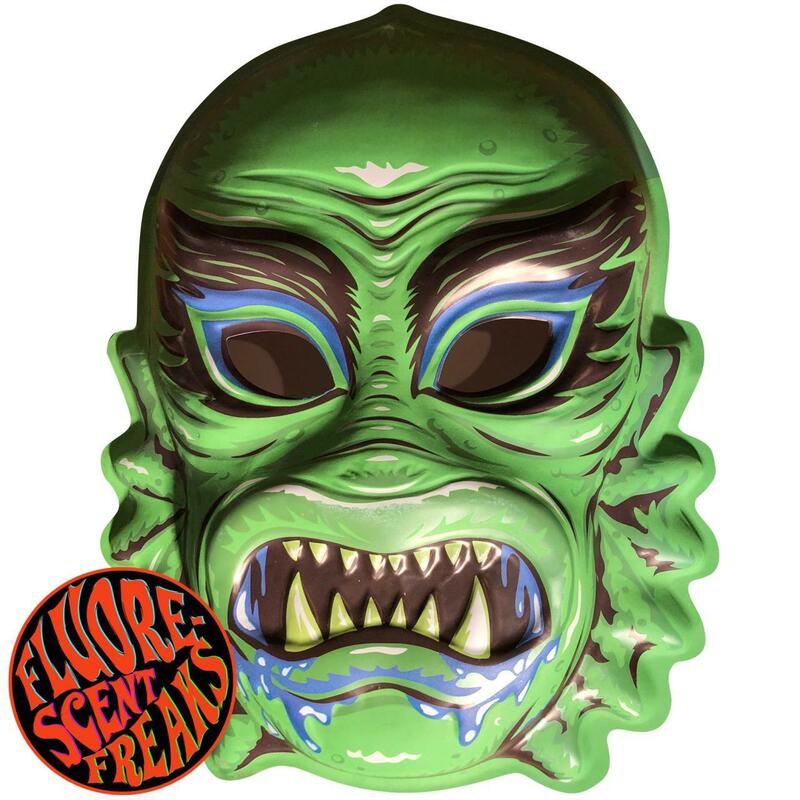 Straight from the depth of the sewer we bring you Gill Creep, a new fluorescent freak! 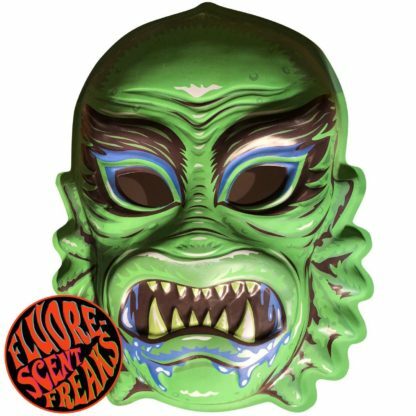 His hot new lagoon colors will light up your crypt — you may never sleep again! 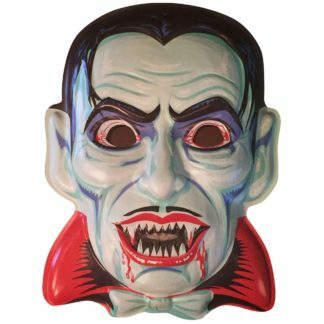 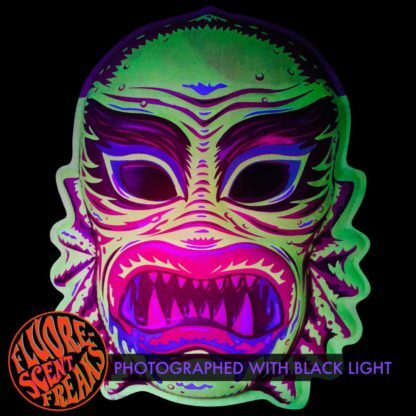 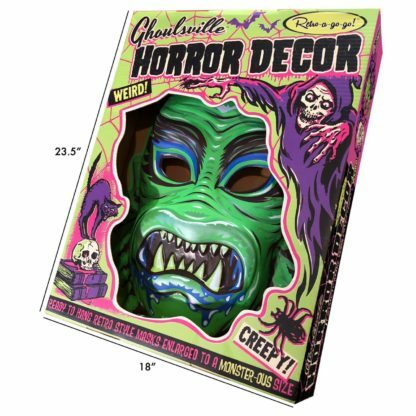 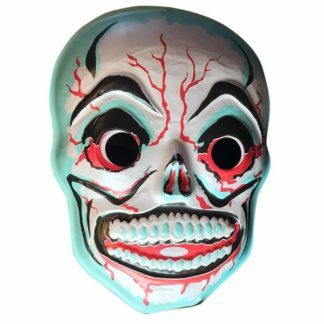 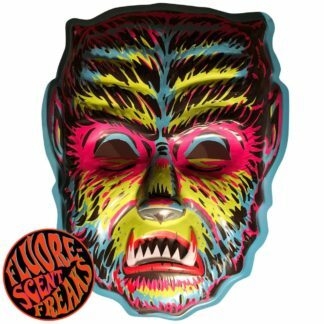 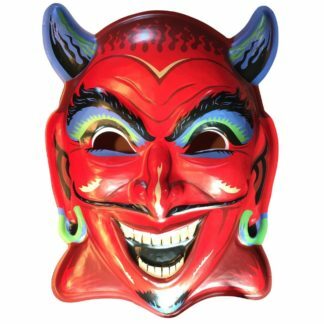 Especially since the new Fluorescent Freaks series retro mask decor all glow under blacklight!